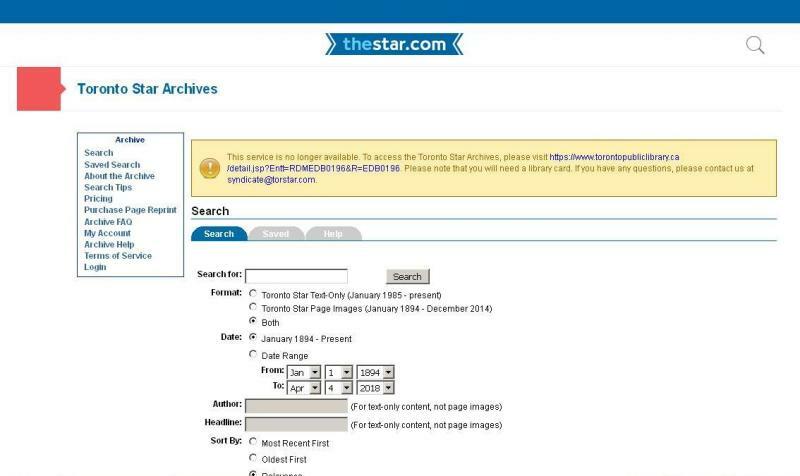 Sad news, ladies and gentlemen: The Toronto Star Archives is no longer available through the Proquest Archiver. This service is no longer available. To access the Toronto Star Archives, please visit https://www.torontopubliclibrary.ca/detail.jsp?Entt=RDMEDB0196&R=EDB0196. Please note that you will need a library card. If you have any questions, please contact us at syndicate@torstar.com. Through the years, the Toronto Star Archives exactly through Proqest Archiver has greatly assisted in researching the creative works of Patrick Macnee and other actors of the TA/TNA series. Now, like the case of Canadian newspaper The Globe and Mail, you need a library card to use Toronto Star Archives - there is no more public pay access for everyone to it. 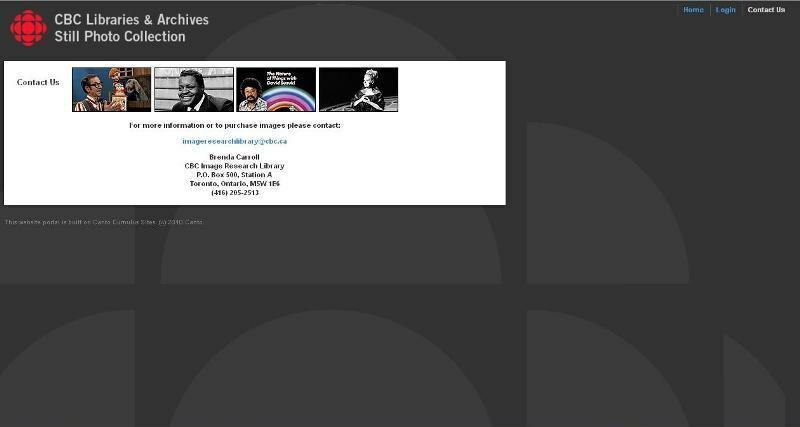 More, CBC Still Archives is no longer available for free access. 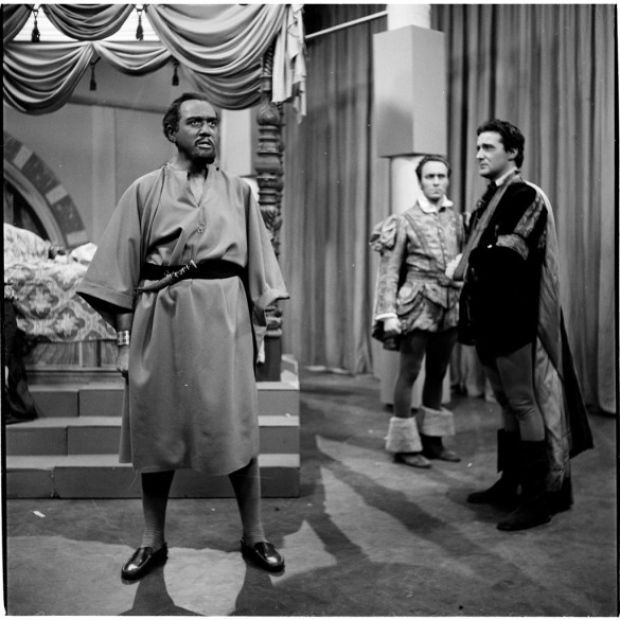 CBC Still Archives keep many rare images with Patrick Macnee. I noticed it a while ago. It's a pity because you could access many photos of young Patrick Macnee from his years in Canda. Now I'm glad I made a few screencaps. Unfortunately, I have not saved any one photo with Patrick from this archive, strangely enough, but recently I saw that there is a lot from it (maybe even full collection) on Facebook. Sadly to report, Dandy Forsdyke's Avengers Photobucket art gallery is closed now and there is no Internet archive for it. It still worked in April. However, there is still the opportunity to enjoy the old creativity of Dandy on the blog Daub & Blot – Avengers Art by Internet Archive. Great to hear! Thanks for the information, Piers. Sadly to report, Joanna Lumley: The Ultimate Fan Site (last update: November 18, 2001) is closed. However, there is still the opportunity to enjoy this website through Internet Archive. Sadly to report, The Nice Rooms website (where Alan Hayes of The Avengers Declassified was interviewed by Gary Radice - topic "Avengers book") was closed on November 1, 2018. The Nice Rooms Webzine has closed its doors for the very last time. Thank you to everyone who helped provide information, interviews and support over the last five and a bit years of its wonderful life. However, there is the opportunity to enjoy this interview with Alan through Internet Archive.